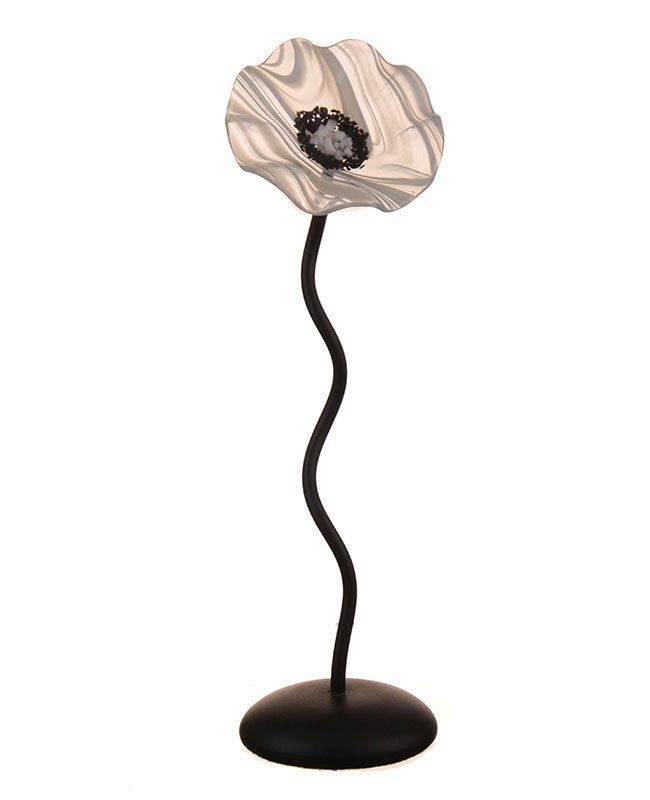 "My lifelong passion for art has taken many turns and settled here in this perfect place combining glass, metal and color focused toward one of nature's treasures, the flower." Scott Johnson was introduced to the magical lifestyle of being an artist as a child, as he worked with and learned from his father, who was a sculptor. 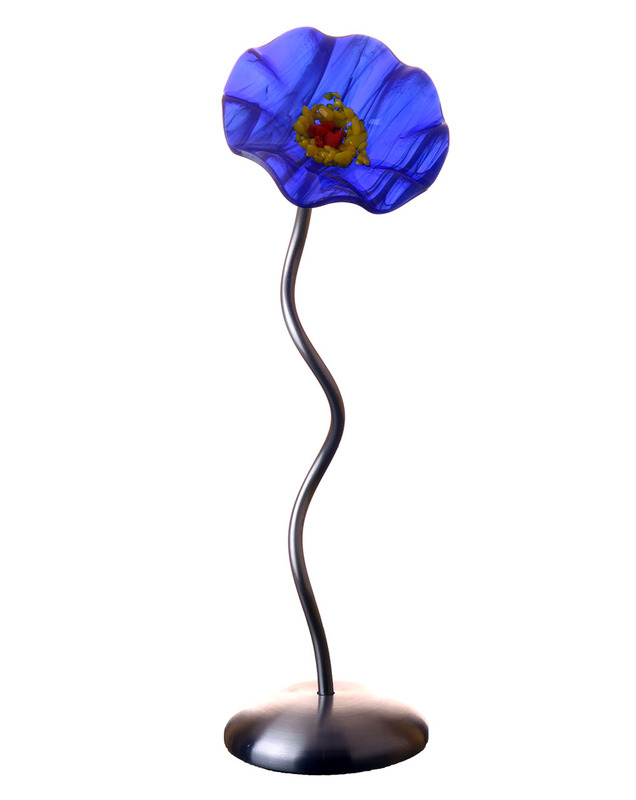 After years of working with bronze and ceramic, Johnson chose to create in glass and metal. 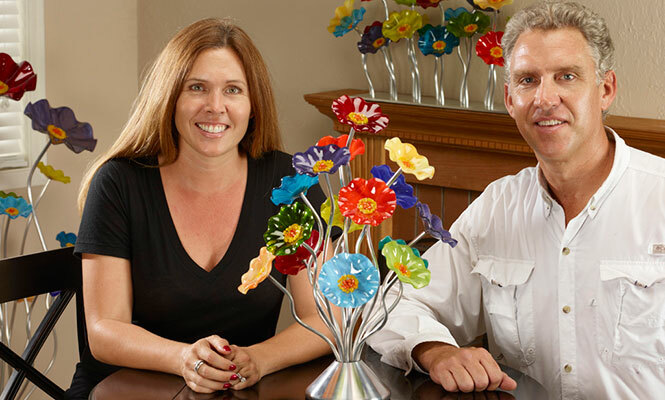 Now, working together with his wife Shawn, the two artists derive inspiration from nature-- creating colors and shapes to enlighten and beautify the environments of their collectors. In the studio, Johnson kiln-forms and cold-works the glass into contemporary free-form flowers in a wide variety of colors. 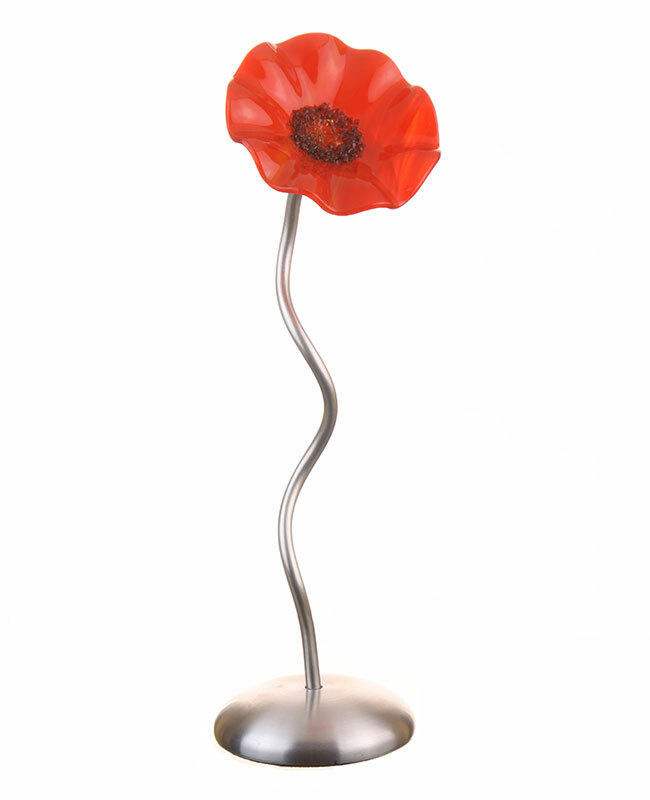 Copper and aluminum are hand sculpted in flowing motion to compliment the flower shapes, then attached to formed metal bases. Scott's first job at the age of 12 was working in his father's fine art bronze foundry. Scott's fascination was sparked as he watched molten bronze being poured into glowing hot molds. Throughout high school he worked with master craftsmen and assisted in the fabrication of the bronze cast parts as they were transformed into beautiful sculpture. These early experiences instilled a deep and lasting love of art and the creative process. Scott's education has continued since as he has made his living as an artist in a variety of mediums for the past 30 years.